Billy Crystal once joked that “It’s better to look good than to feel good.” Our question is, why choose? The truth is that one follows the other. When you look good, you feel good. You also feel strong, competent and confident. Studies have shown that attractive men are more likely to be promoted at work, seen as more trustworthy and, as you know, are more likely to attract a similarly desirable romantic partner. Facial aesthetic procedures for a man must be done in a way that enhances his youthful virile strength, helps him look distinguished and sophisticated, and is as undetectable as possible. The surgeon must have the experience and insight to understand how to provide a masculine, handsome result. 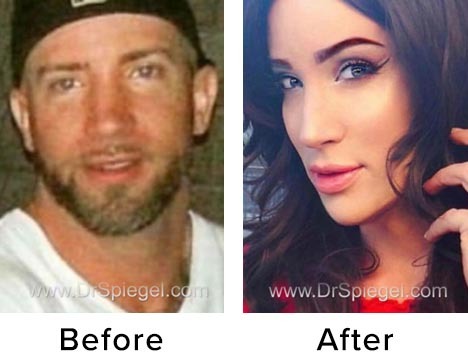 Dr. Spiegel is an expert in facial gender, and is a world leader in understanding the differences between men and women in plastic surgery. There is no “one size fits all” here! As a recognized expert in facial surgery considered to be one of the 15 most influential plastic surgeons worldwide, Dr. Spiegel is uniquely able to get you the results you need. You deserve the best, and you’ve found it. Blepharoplasty “eyelid lift”: Are you looking tired? Too many character lines around the eyes? This procedure can take the years off and help you look alert and energetic, without looking like you’ve had surgery. Men require a special approach to blepharoplasty (eyelid lift), and Dr. Spiegel has been an invited lecturer at international facial plastic surgery conferences on precisely how to tailor the procedure for men versus women. And, this one can often be done right in the office! Facelift: Hiding all signs of surgery while turning back the clock is the goal here. 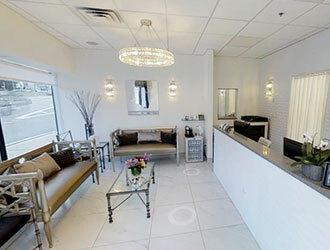 Dr. Spiegel will evaluate your hairstyle, lifestyle, and other personal aspects of your life before determining how to restore your youthful appearance. This one tightens the neck, enhances a strong jawline, and gets you back in the game. Chin and Jaw Contouring: An attractive chin conveys masculinity, virility, and strength. 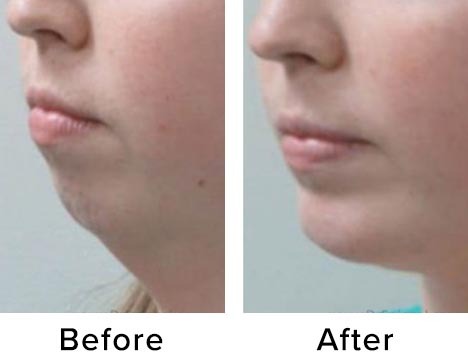 Conversely, a weak chin can make you appear meek and increases the likelihood that you’ll have sagging skin and an undefined neck. Similarly, a strong jawline represents competence, dependability, and attractiveness. Dr. Spiegel has a number of ways to contour and enhance the chin and jaw. Custom implants can change your appearance exactly as desired. Again, this one can sometimes be done right in the office. Rhinoplasty “nose shaping”: Maybe you were born with an oversized nose (“Thanks Dad”), and maybe you took one too many baseballs or footballs to the face or had a bad mountain biking spill. A straight nose that appears proportional and balanced is an important component of an attractive man’s face. 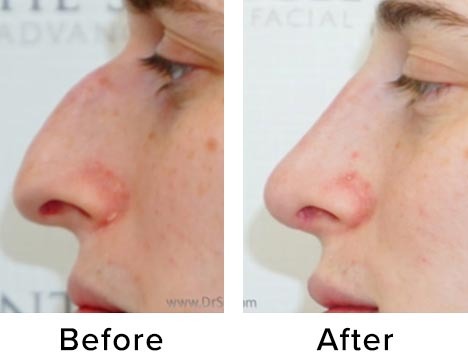 Dr. Spiegel is an expert in the most difficult nose procedures and can help you get a manly, natural appearing nose. You’ll breathe better too! BOTOX®, fillers and skincare (oh my! ): You don’t always need surgery to enhance your appearance. Injectable treatments like botulinum neuromodulator injections can relax wrinkles, open narrow eyes, and quickly restore a rested appearance. They may even reduce headaches. 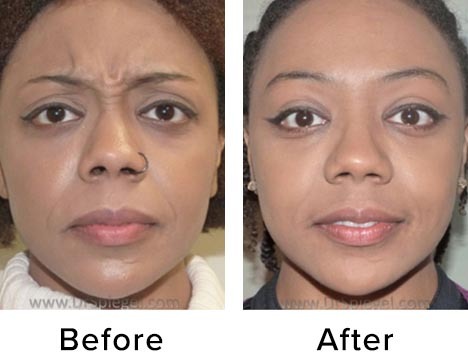 Fillers can reduce wrinkles, enhance your cheeks and jaw, and help you look less drawn and tired. And, the right skincare products and laser treatments can undo skin damage from time in the sun. There are many other ways we can help. We’re glad you’ve found us. You’ll be glad too.